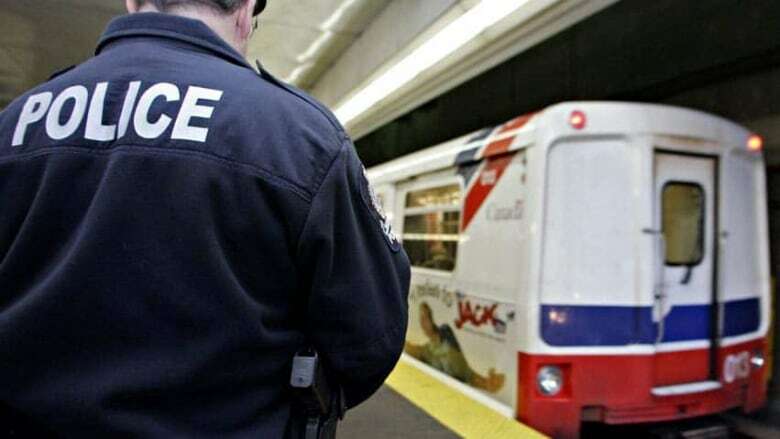 Transit police have arrested a 46-year-old man in connection with an alleged attack on a 18-year-old Muslim woman that she says was preceded by a racist rant. Transit police have arrested a 46-year-old man in connection with an alleged attack on an 18-year-old Muslim woman that, she says, was preceded by a racist rant. Charged with one count of threatening to cause death or bodily harm and one count of assault is Pierre Belzan of no fixed address. Police say they have also recommended a charge of sexual assault. The arrest and charges follow a complaint made by Noor Fadel. Fadel was heading home to Richmond after work on Monday night and got on the SkyTrain at Waterfront station around 10 p.m. PT. 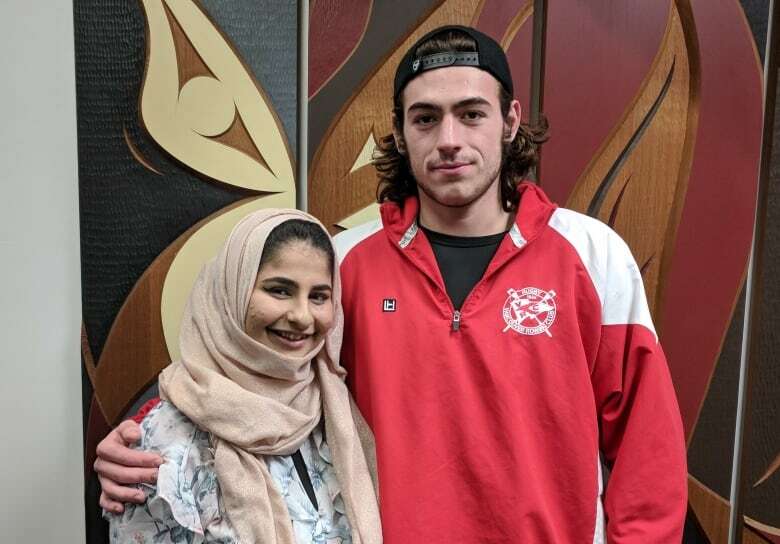 Fadel, who was wearing a hijab, claims she was approached by a man who began yelling at her in a mix of Arabic and another language she says she did not recognize. "He had a very aggressive look on his face and he was yelling," Fadel said. "I stood there in shock completely, my body was not wanting to move." She estimated there were more than 25 other people on the train car. The man, Fadel said, told her to go back to her country and that he would kill her and all Muslims. He then attacked her, she said. "He tried to grab my head and force it onto his crotch," she said. "He tried to grab me by my headscarf." Fadel said she attempted to move out of the way and put her hands up to defend herself. She couldn't reach the emergency help button and none of the passengers helped, she said. "Everyone was aware of what he just tried to do, they saw him yelling at me and continuing to yell at me but everyone stayed seated, there was not a person who got up at that point," she added. The man then hit her across the face, she said. No one intervened until she was struck, Fadel said. That's when Jake Taylor, a fellow passenger, stepped in. He stood between Fadel and the assailant until the man got off at the next station. Taylor then got off with her at the Yaletown stop, and stayed with her until first responders arrived. Fadel's brother, Abdul Fadel, says, from the details of the encounter, he believes the assailant may suffer from mental illness. Abdul says the incident was, "a very sudden and traumatic experience," for his sister. Both he and his sister also say they were surprised that more people on the train at the time did not take action to intervene. "The most shocking thing is that in a train full of people at 10 p.m. on a Monday night, not a single person flinched until she got smacked," he said. Abdul says his sister suffered only minor injuries, but she said she is shaken from the experience. "I am Canadian, I was born and raised here," Noor Fadel said. "What does it really mean to be Canadian? It's not just by how you look." Police say Belzan doesn't have a criminal record. With files from GP Mendoza and Farrah Merali and On The Coast.